Primrose at Ryton Farm Holiday Cottages in Dorrington, near Shrewsbury, Shropshire sleeps 2 people. 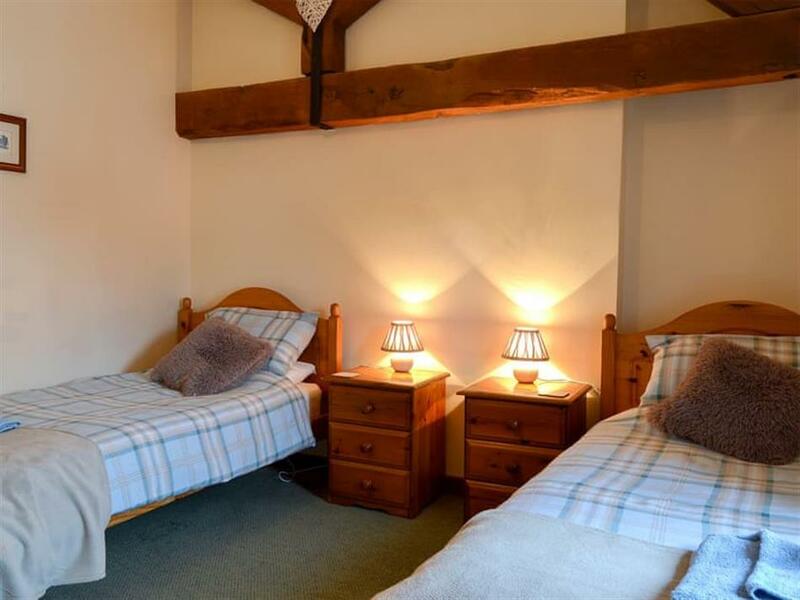 Ryton Farm Holiday Cottages near Shrewsbury is a collection of cottages which are situated in the Shropshire countryside with stunning views all around and just 7 miles from the historic town of Shrewsbury with an array of bars, restaurants and shops for holidaymakers to enjoy. These comfortable cottages (refs UK11098 [Clover], UK11099 [Daisy], UK11100 [Bluebell], UK11101 [Buttercup], UK11102 [Violet], UK11103, UK11104 [Honeysuckle] and UK11105 [Chestnut]) are situated in a courtyard and are all converted from the original farm buildings of Ryton Farm. Close to the cottages are six beautifully presented, well-kept lakes offering excellent fishing, and are generously stocked with a different combination of fish giving a variety of angling. Coarse fishing is available and is only available to holidaymakers which means that you are guaranteed a quiet spot in which to enjoy your day. The fishery at Ryton Farm has been created over the last 30 years and is surrounded by beautiful countryside, guaranteeing even the most experienced fisherman a simply stunning area with six lakes to choose from. Why not try a different lake each day? The properties are set within a large shared courtyard with garden furniture where guests can relax at the end of a busy day. There is a shop 1½ miles from Ryton Farm Holiday Cottages near Shrewsbury, with the pub and restaurant ¼ mile from Ryton Farm Holiday Cottages. Kitchen area: With electric cooker, microwave, fridge and table top freezer. Electric heating, electricity, bed linen, towels and Wi-Fi included. Laundry service on request. Courtyard with sitting-out area and garden furniture (shared with other properties on-site). Private coarse fishing at an extra cost, rod fishing licence required. Private parking for 2 cars. No smoking or e-cigarettes. Please note: No children under 14 years old. Holidays at Primrose, Ryton Farm Holiday Cottages run from Monday to Monday. Pets allowed at Ryton Farm Holiday Cottages - Primrose. For a better idea of where Ryton Farm Holiday Cottages - Primrose is, you can see Ryton Farm Holiday Cottages - Primrose on the map below. Ryton Farm Holiday Cottages - Primrose is in Shropshire; should you be on the lookout for a special offer, you can find all the special offers in Shropshire. It's always worth checking to see what is on offer at the moment. 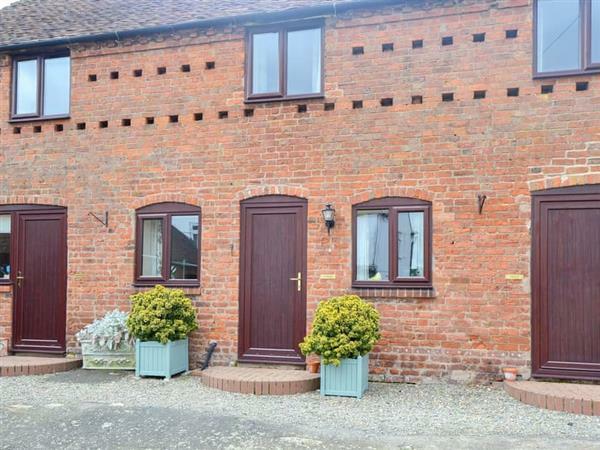 Do you want to holiday near Ryton Farm Holiday Cottages - Primrose (UK11103), you can see other cottages within 25 miles of Ryton Farm Holiday Cottages - Primrose; have a look to find your perfect holiday location.